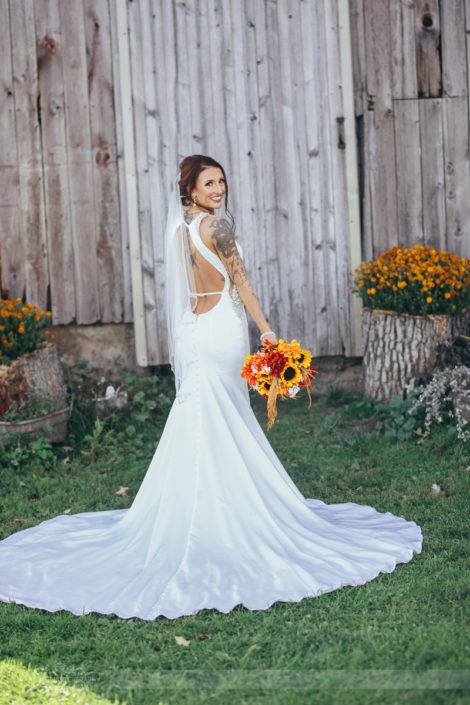 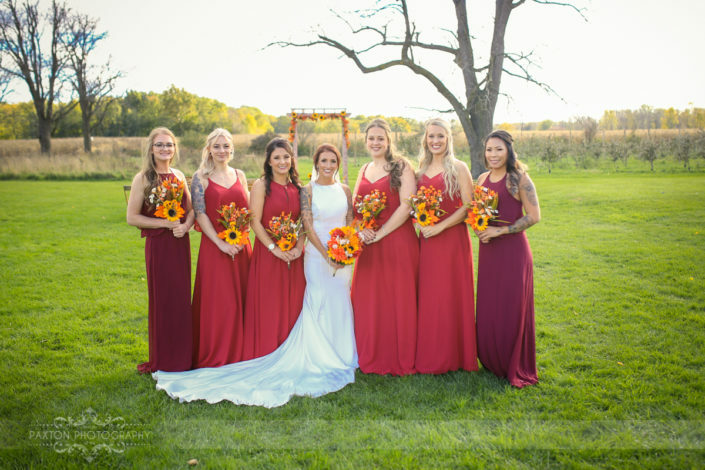 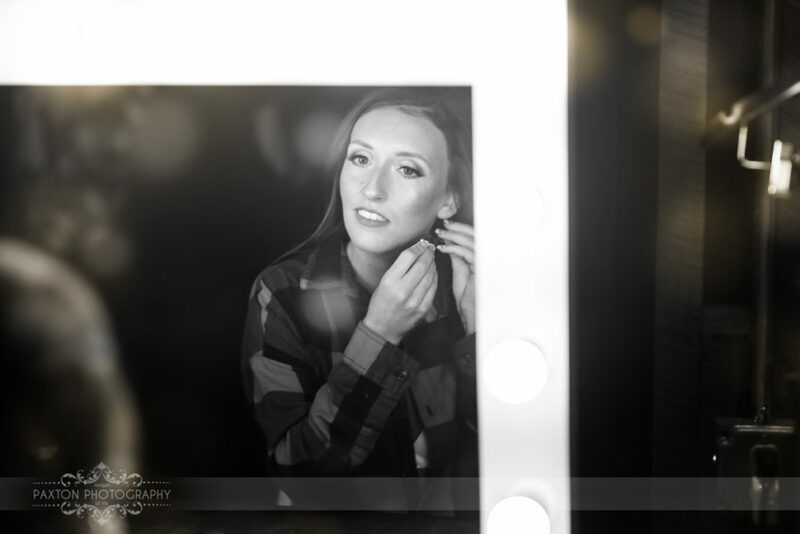 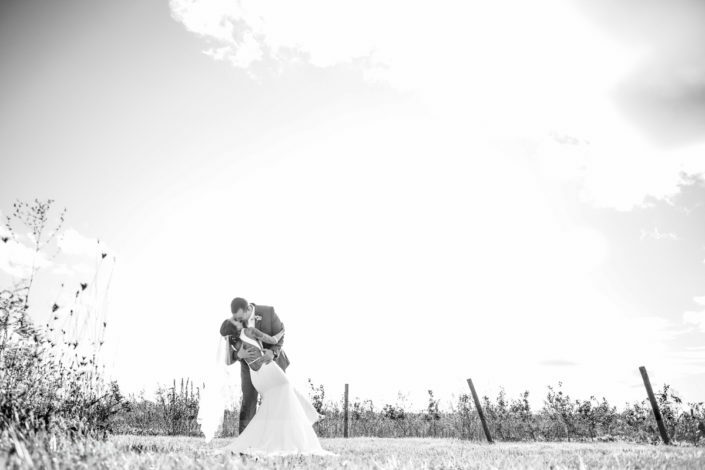 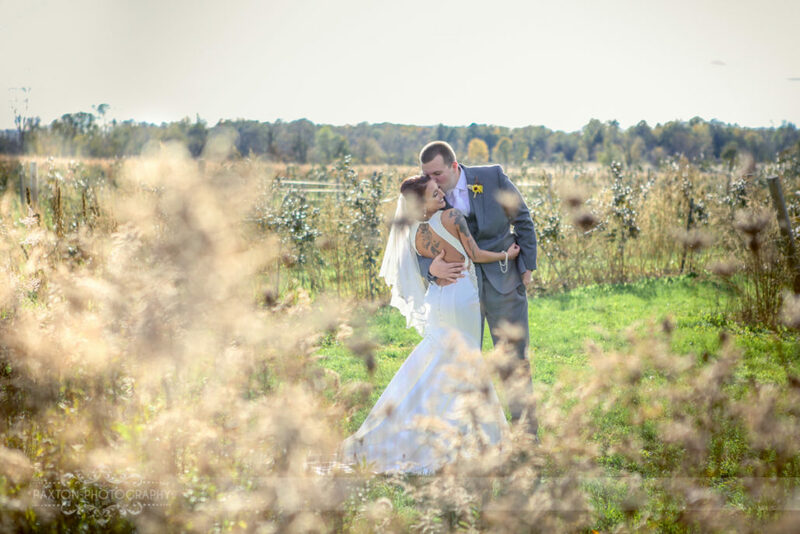 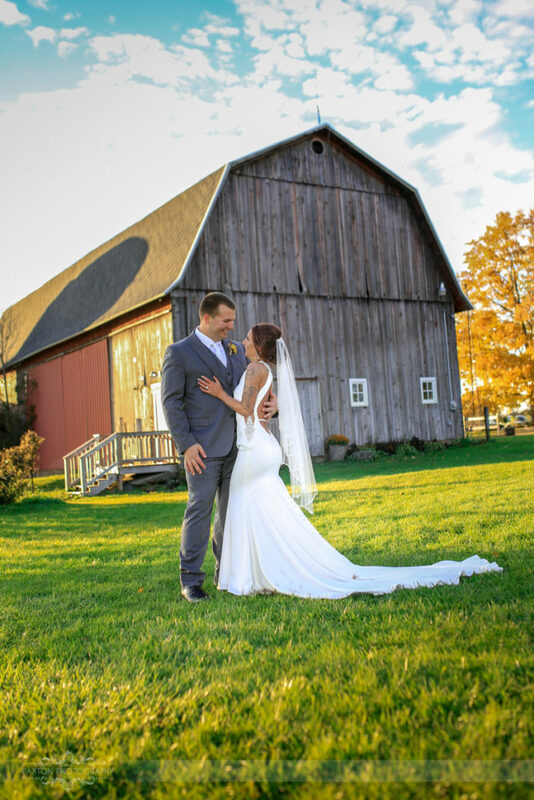 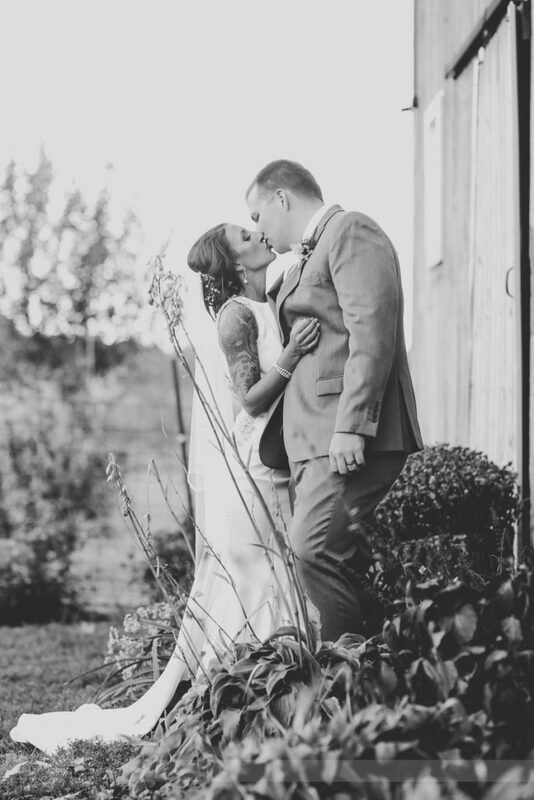 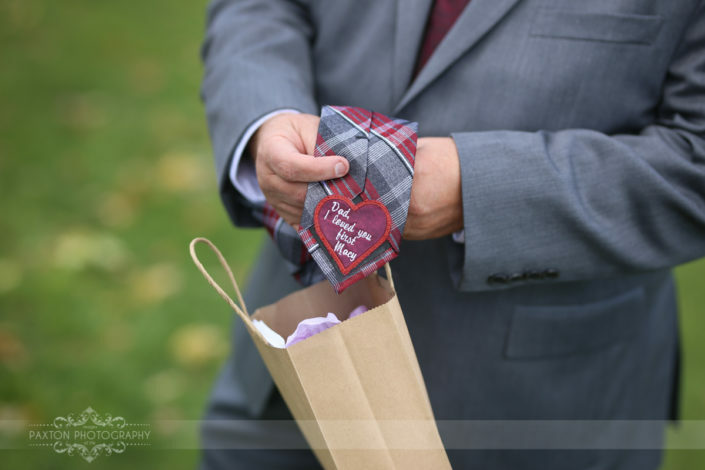 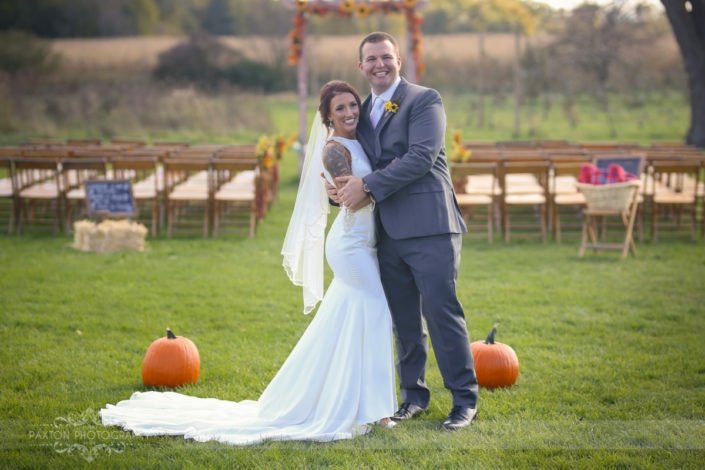 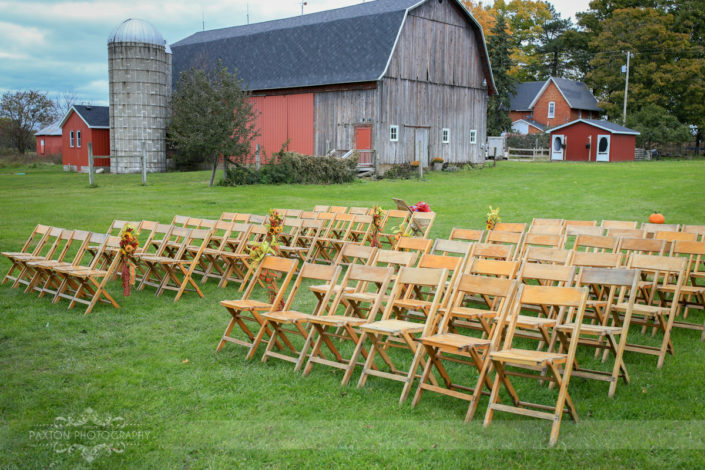 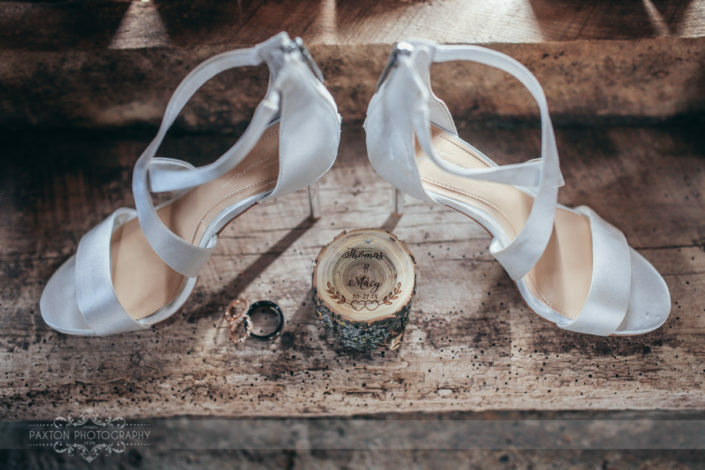 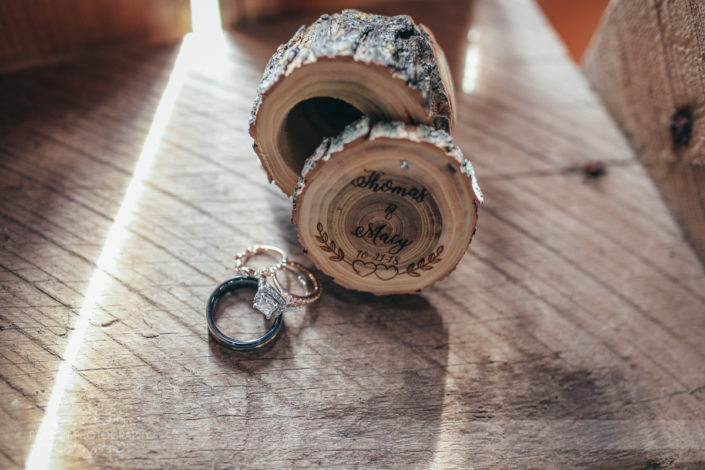 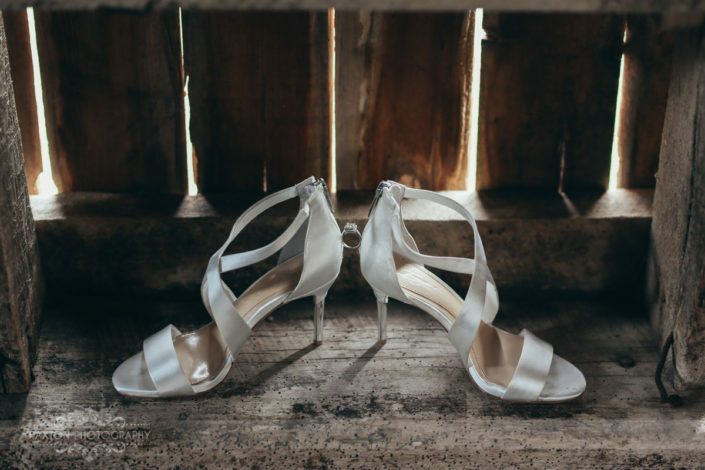 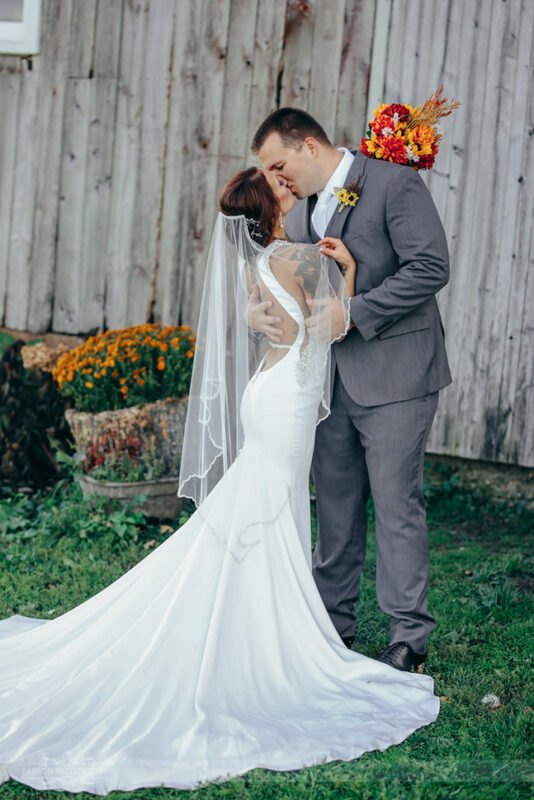 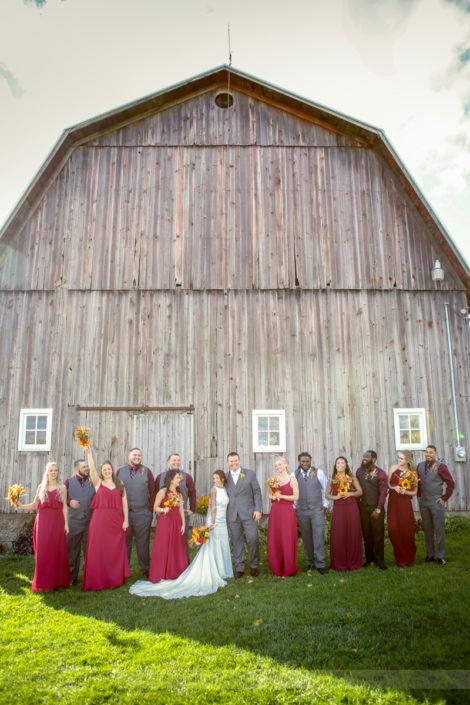 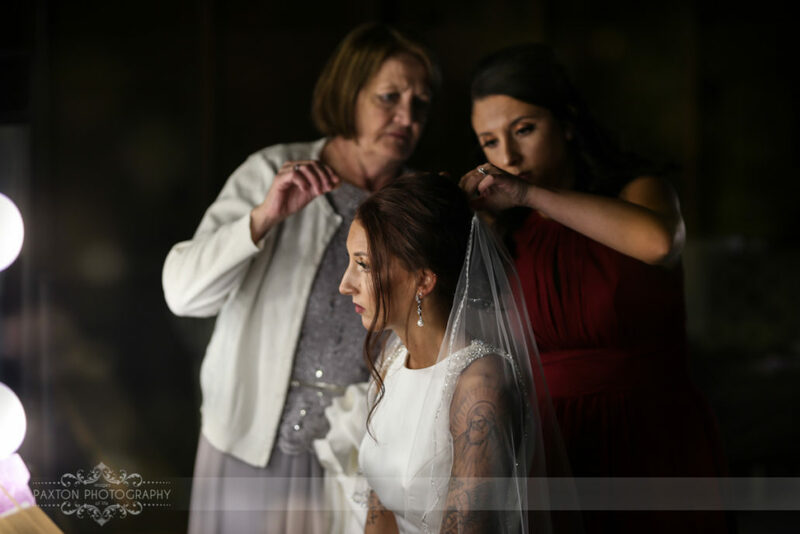 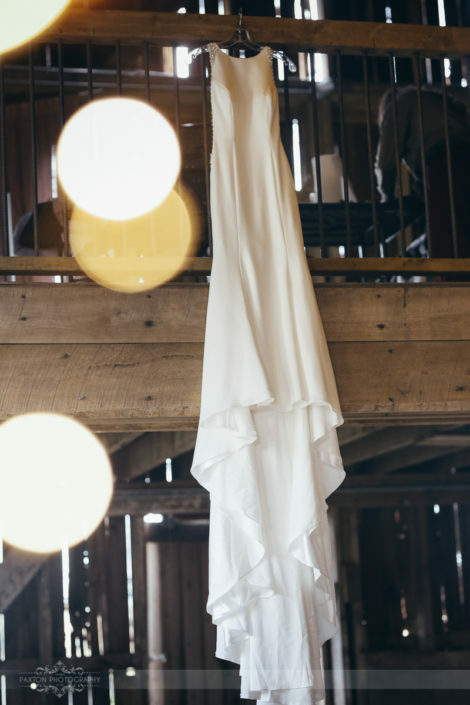 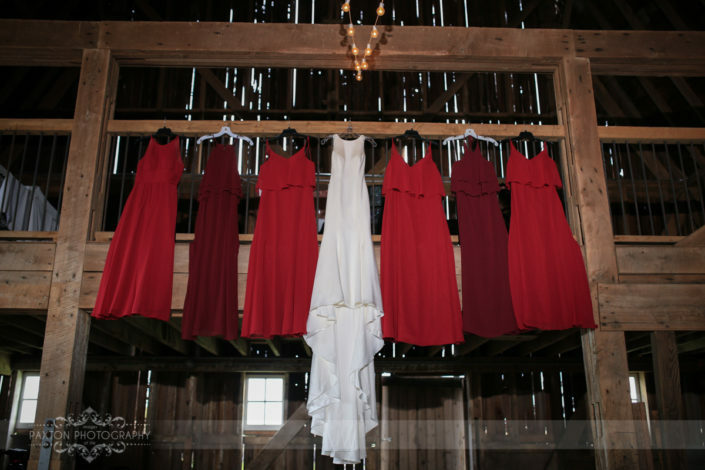 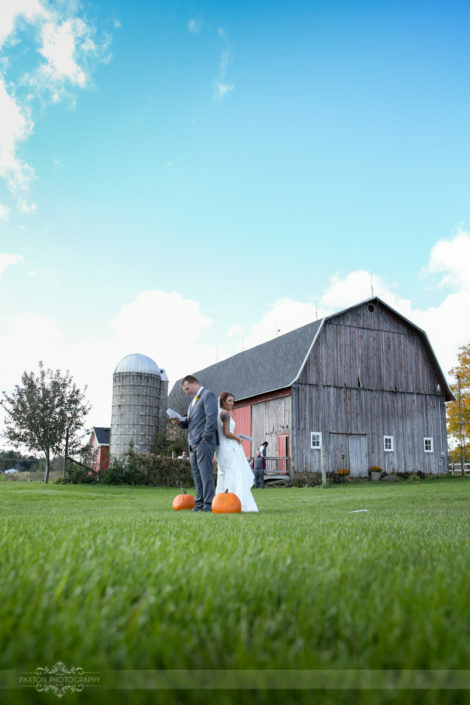 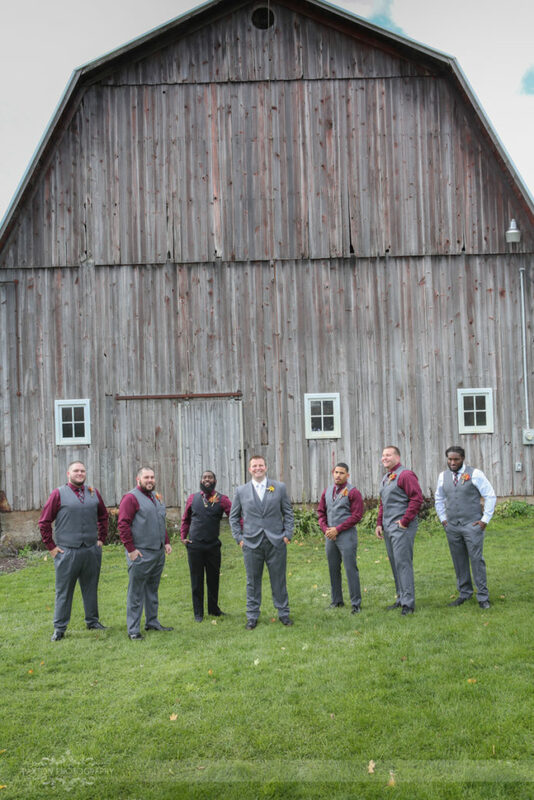 Macy and Thomas had a gorgeous fall day for a barn wedding at the Cherry Barc Farm in Vermontville, MI. 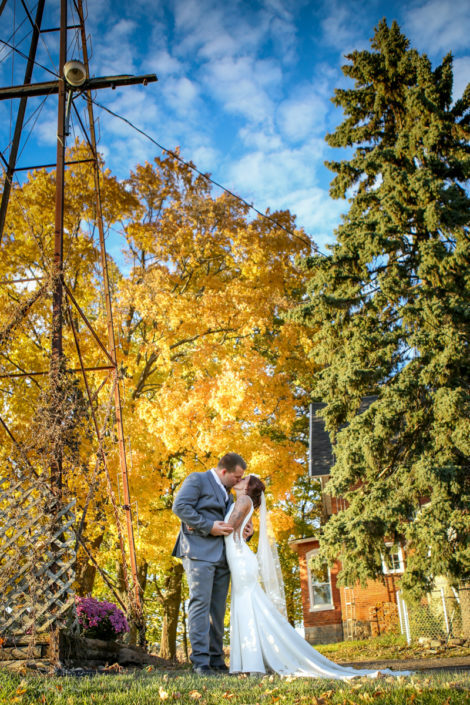 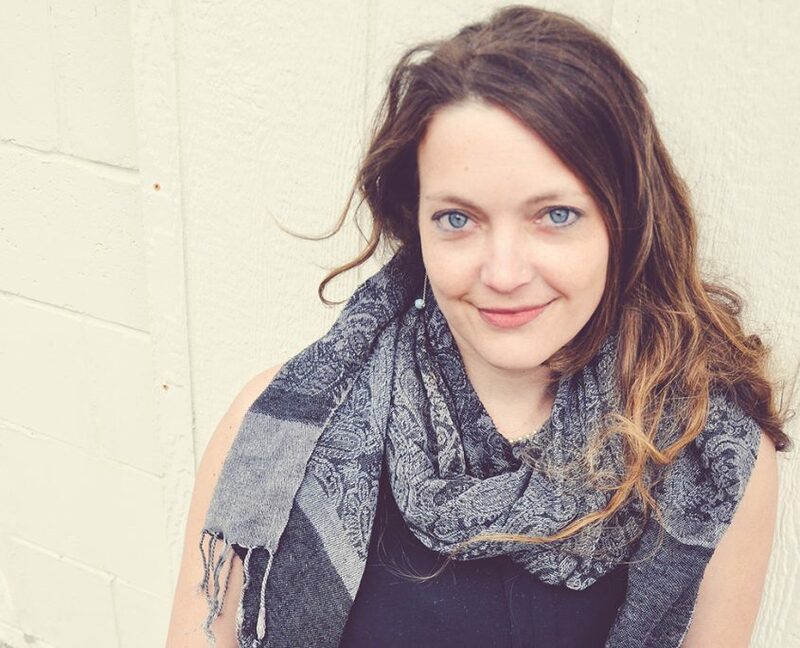 It was the most lovely light accompanied by a fall chill in the air – – okay, I’m being generous, it was seriously cold. 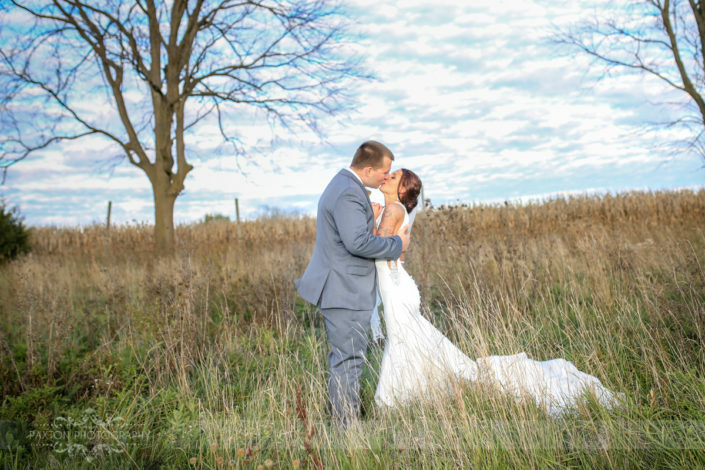 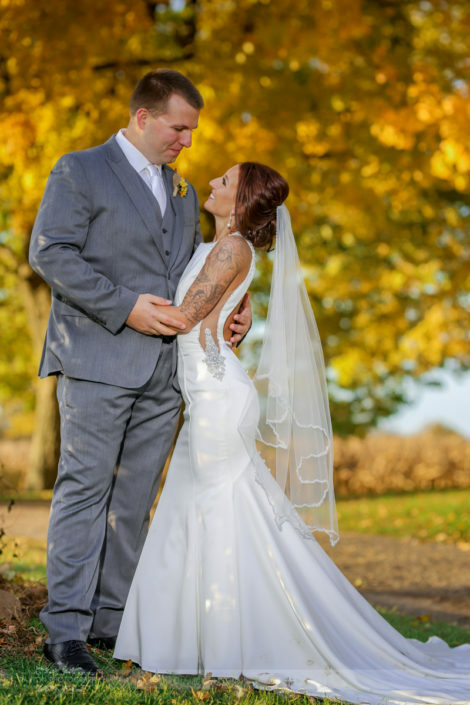 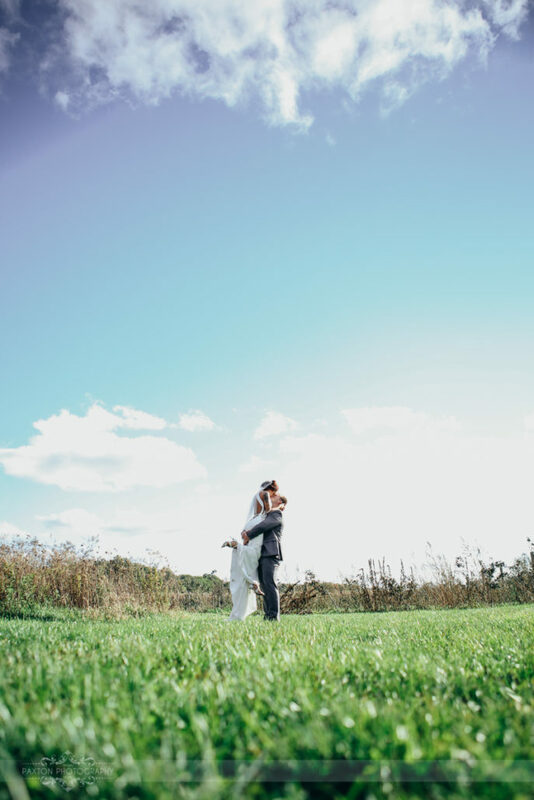 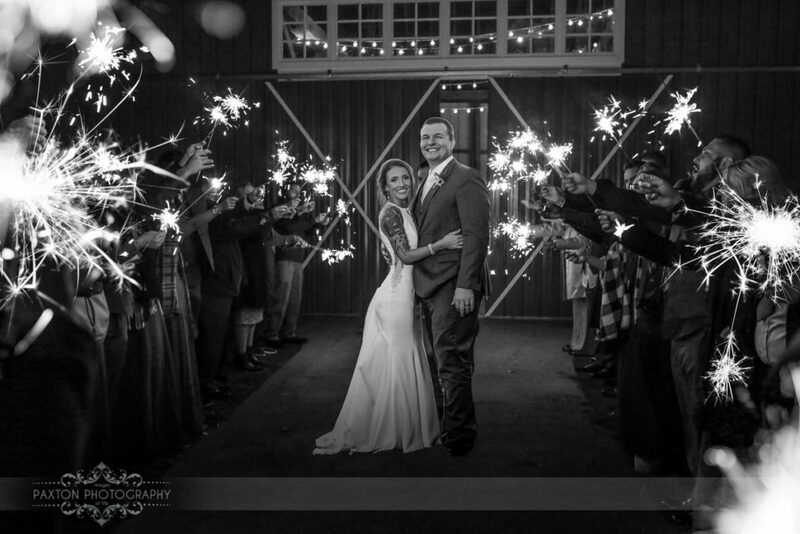 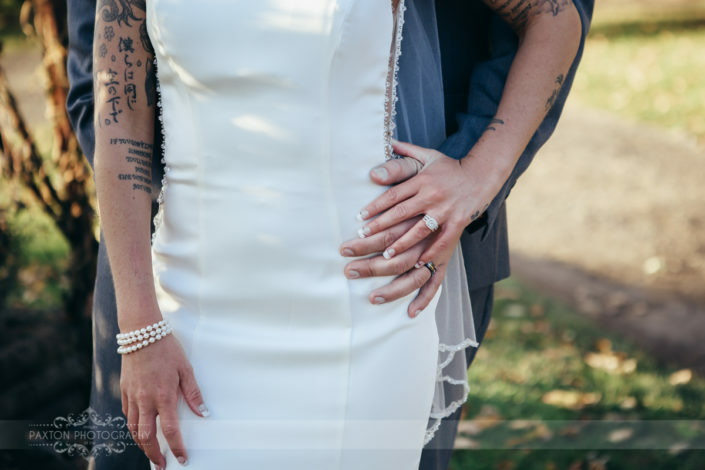 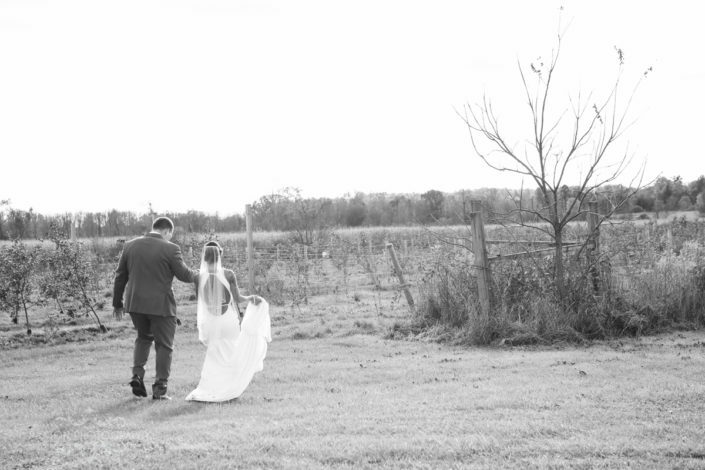 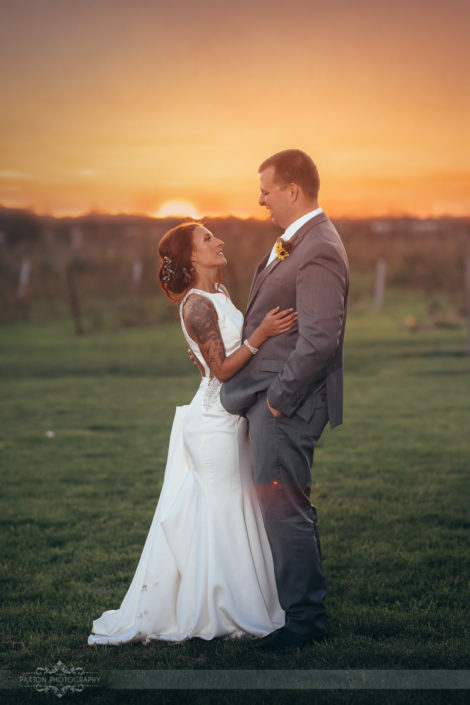 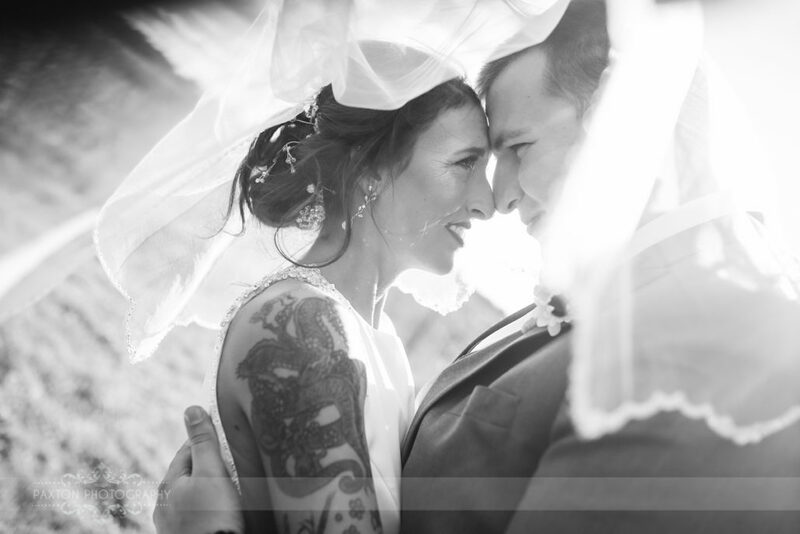 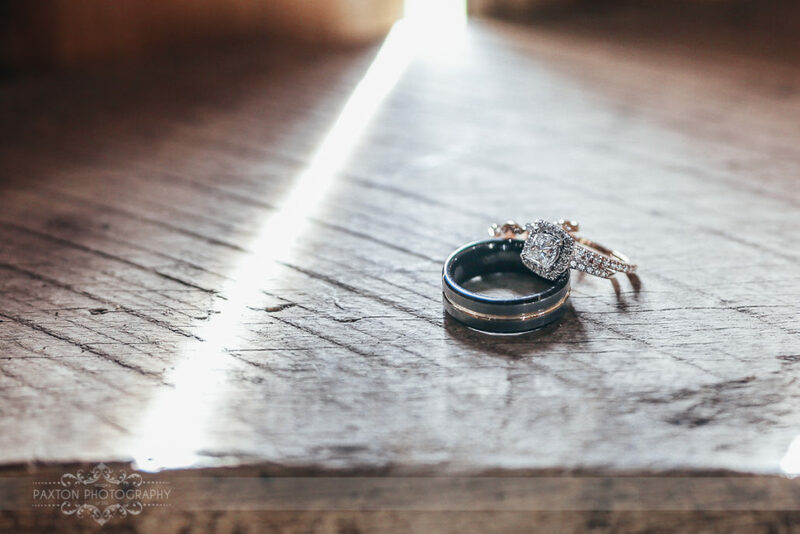 Even though the day gave us 34 degrees as a high, these two had the most beautiful day! 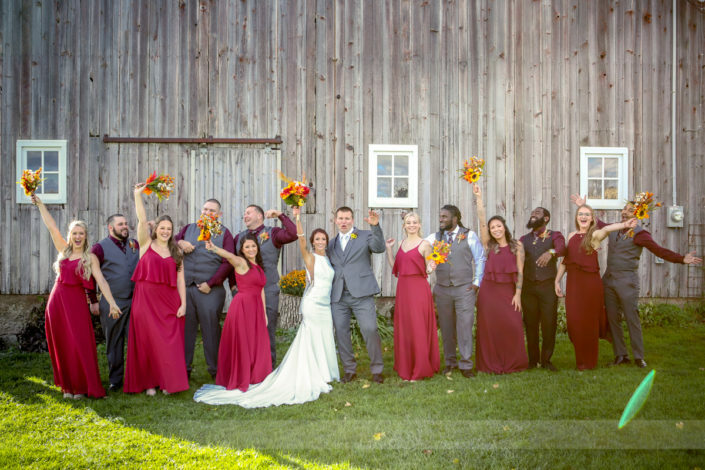 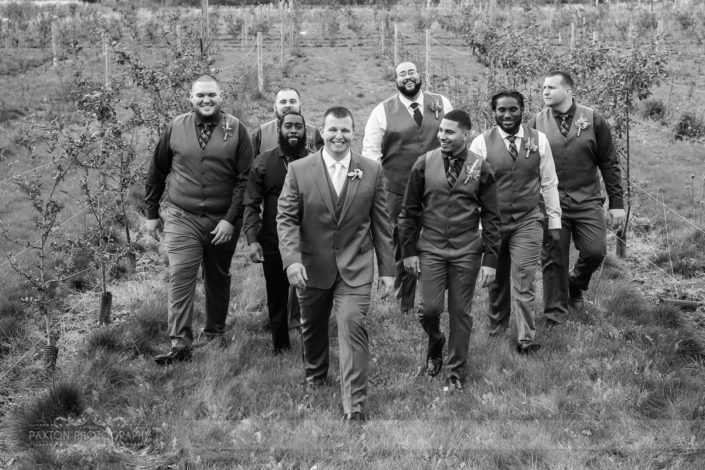 The entire wedding party was a good time, everyone had the best attitudes and easiest smiles, and Macy had to play with the house chickens and goats. 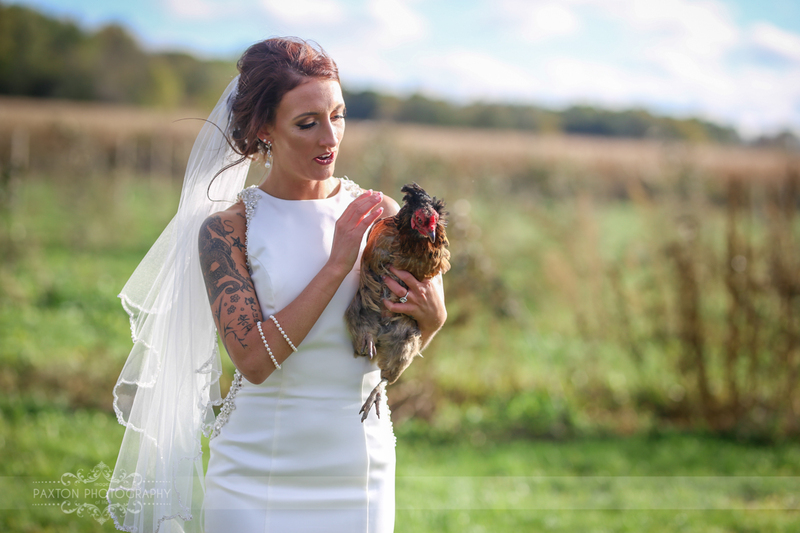 It is officially the first time I’ve ever had a bride say the words, “catch me a chicken”, and mean it.